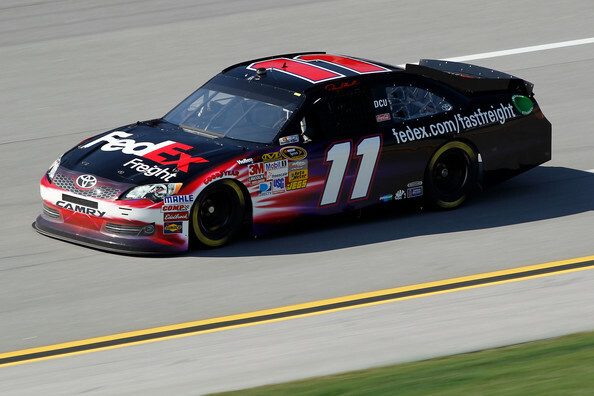 Denny Hamlin was fast today during first practice, feeling comfortable with his cars and trying not to risk any wrecks, Denny decided to sit out second practice. Denny was 6th overall in the first practice which will put him towards the rear of the qualifying lineup. Denny will be the 38th qualifier tomorrow at 12 noon est on Speed.